December 1985, the body of a teenage boy is found in Red Square clutching a wax angel. A week later, Alex Marston, the precocious teenage daughter of the British Ambassador disappears. Major Tom Fox, newly arrived in the embassy after the death of his daughter and a work-related incident, agrees to try and locate her. For Fox the mission is more than simply offering to help, it is a chance to redeem the death of his daughter. It’s soon clear that Alex was taken and is being held against her will, but there is a larger game going on between a senior group of Russian officials that has its roots in the last days of the Second World War. After working undercover in Northern Ireland, Fox is used to moving through the shadows, but navigating the intricacies of Russia’s politics and personal rivalries is a tricky business, especially with a young girl’s life on the line. 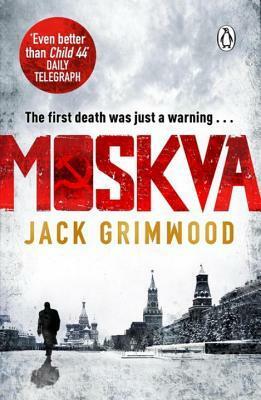 Moskva is the first in the Tom Fox series, following the exploits of a British military intelligence officer at the tail end of the cold war. Fox is a damaged soul, a man who abandoned life as a priest for a wife and family and undercover in Northern Ireland; a man who has recently lost his daughter and is about to be divorced. He’s been shipped to Moscow to keep him out of the way of a select committees questions, but he has a habit of finding trouble. In this case it comes in the form of the kidnapping of the British Ambassador’s daughter. Fox starts his own investigation, which is facilitated by senior Soviet figures, both sides wanting to keep the incident out of the media and political spotlight. Unwittingly he has also stumbled into a wider conspiracy. What unfolds is a cold war thriller set in the early days of Perestroika. Grimwood keeps the pace and tension high as Fox careens from one situation to another, and there is plenty of intrigue and twists and turns. 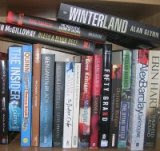 The result is a gripping page-turner, especially towards the end. I was swept along with it, rushing over a number of plot devices used to keep the story on track. I lost the thread a little at the denouement as while most of the elements of the unravelling conspiracy made sense, there were a couple of aspects that seemed a little obtuse. Nonetheless, it was a captivating read and I’ll be reading the next in the series.